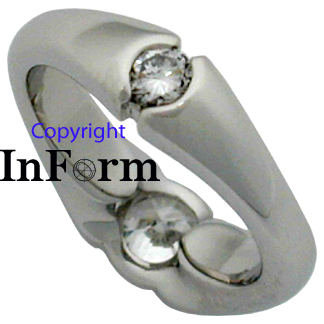 The platinum ring seen in the photos below holds a 1.16 carat diamond. 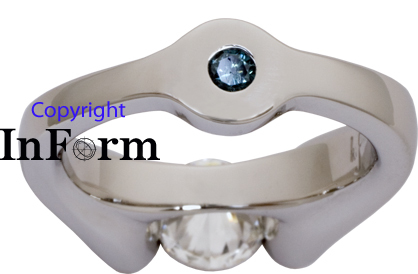 In the underside of the ring is a 2.5mm blue diamond that I've set flush with the surface. As with many of my engagement rings, I additionally created a wedding band that very snugly fits this ring. 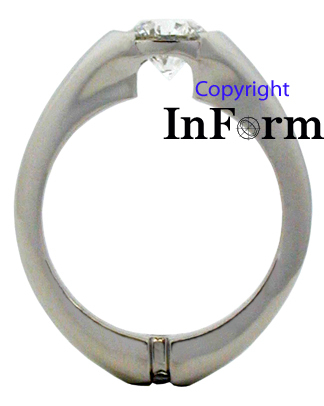 If interested in seeing pictures of the accompanying wedding ring, feel free to contact me. ***Please note that a ring bearing similar characteristics could also be made of gold. 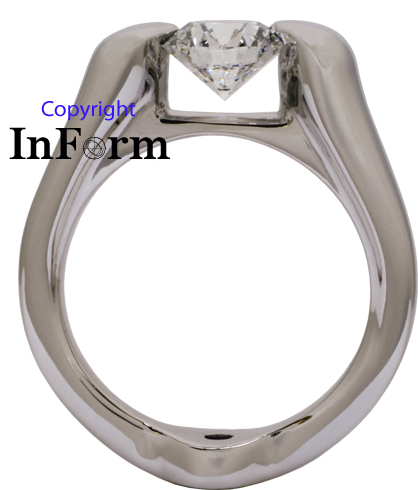 While looking directly through the ring, a rather vast space is seen in which the diamond has been set. 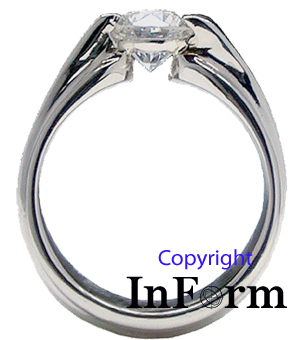 The manner in which the stone is set in many ways resembles a tension set diamond. time, it doesn't have the assorted problems associated with tension setting.